Not everyone can be a "King", which is one of the reasons why Every Man Challenge has become so popular at King of The Hammers. 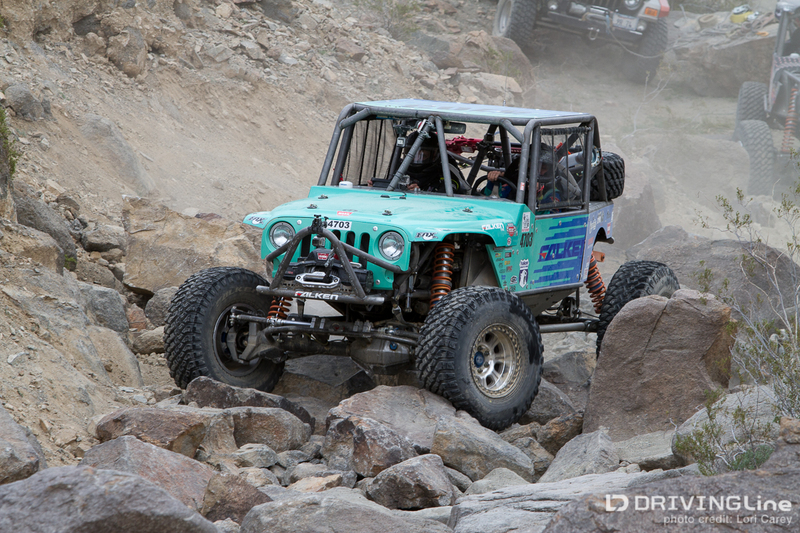 Explained via a KOH press release, "The 2014 race will feature 77 vehicles competing in four different classes. Over the course of 114 miles (two laps), competitors will be tested by some of the most difficult and spectacular terrain in the world. 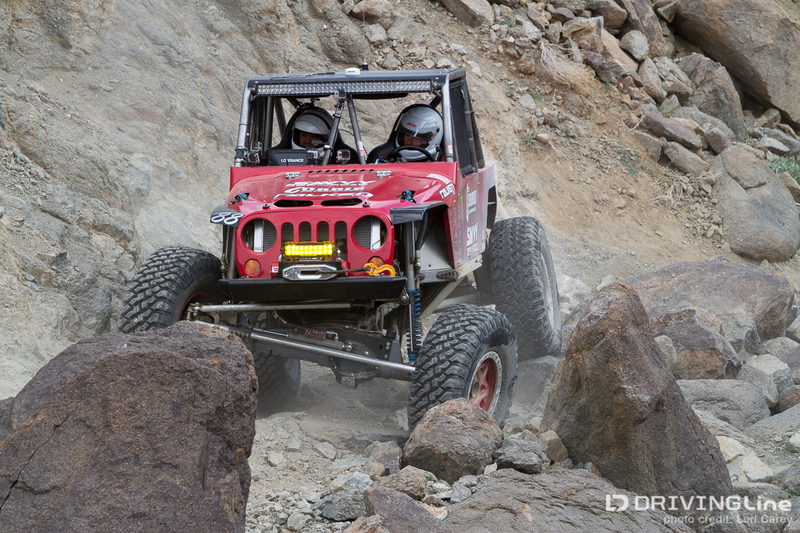 The first lap will include desert racing, while the second will tackle the Johnson Valley’s world famous rocky trails like Sledgehammer, Jackhammer and Wrecking Ball, just to name a few. John Currie, 57, from Anaheim, Calif., is the two-time champion of the event, and he will compete in the modified class in 2014. 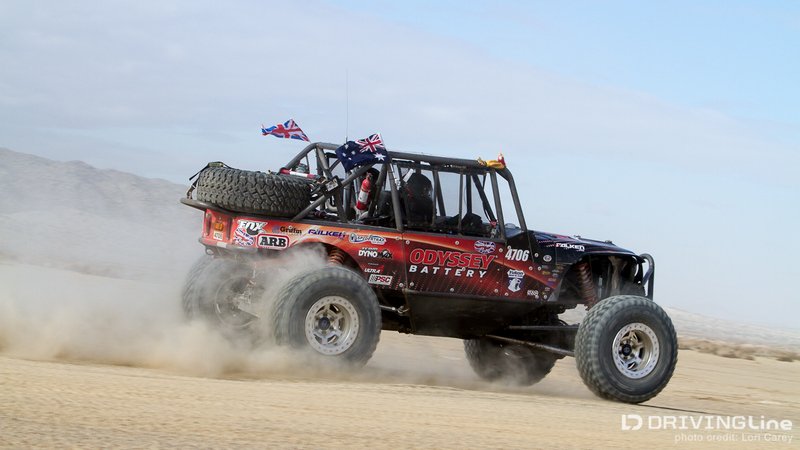 Owner of Currie Enterprises, a manufacturing company that produces drive trains for high performance vehicles, many competitors competing at EMC and Griffin King of the Hammers use Currie products. For Currie, EMC is a chance to hang out with his customers and also a chance to compete in his backyard. “It’s really the big rocks and rocky canyons that attract people,” says Currie about Johnson Valley. 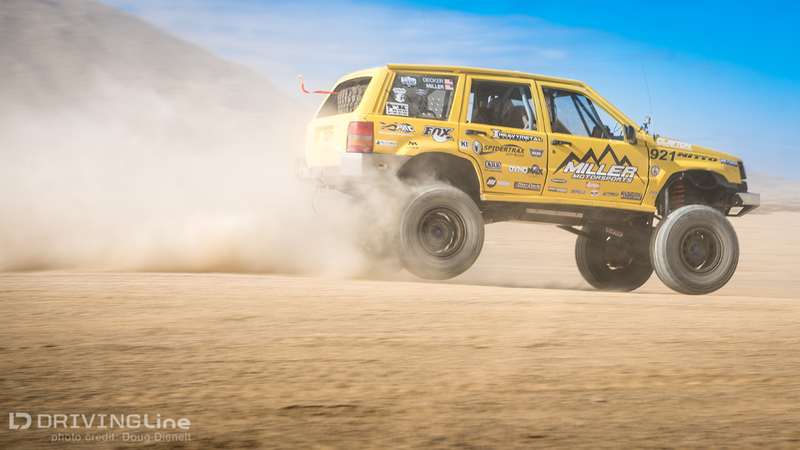 “The terrain isn’t the friendliest, but it’s a place where off-roaders can go anywhere, and some of the trails here are known around the world.” Other drivers to keep an eye on include two-time King of the Hammers’ champion Shannon Campbell who will race in the new 4700 ULTRA4 Spec Class, in addition to KOH’s main race on Friday. This identical fleet of off-road race vehicles has the look of a classic JK but is fully equipped with top of the line aftermarket parts. There is a $20K purse exclusively for this class." The 4700 Spec Class was a new addition for 2014, limited to a single shock per wheel, 37" DOT non-sticky tires, front-mounted engine, and 2 side-by-side seats. A limited number of Spec Class vehicles were for rent. While Every Man Challenge includes four classes (Modified, Stock, Legends, and Spec), the big news of today was how well the Spec Class did - with the majority of the group taking leading positions throughout the race. An extremely tough race on these vehicles, especially stock, with only 35 of the original 77 vehicles finishing. First through the gate was Modified Class John Currie #88 at 12:24pm with a time of 04:24:28. The next in his class, Mike Johnson #4588, wouldn't be until nearly two hours later. Coming through the finish line second was Legends Class winner Brad Lovell #232 with a finishing time of 04:37:10. 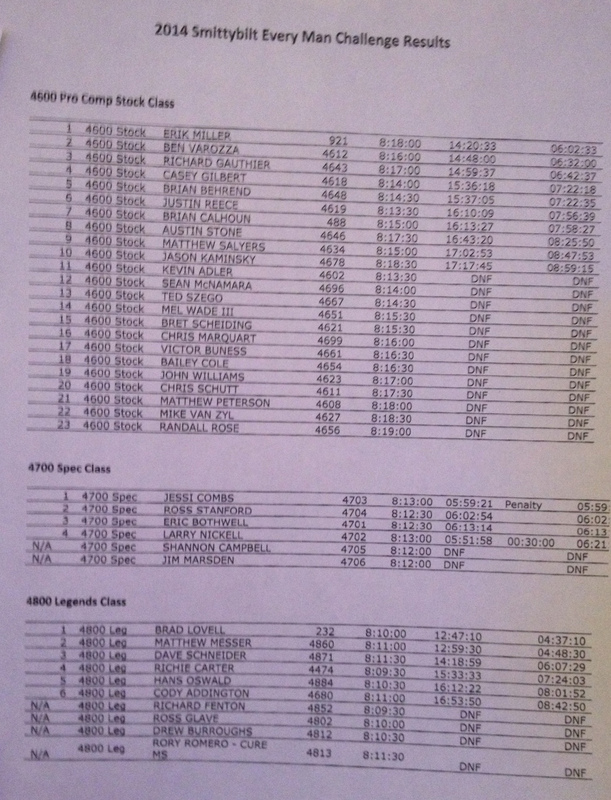 Next class winner through was Jessi Combs #4703 in the Spec Class with a time of 05:59:21. Finally, Erik Miller #921, 2012 King of The Hammers who will also be competing in Ultra4 on Friday, came in as winner in the Stock Class with an ending time of 06:02:33 - a full thirty minutes ahead of Ben Varozza #4612 the second place Stock Class finisher. Congratulations to all the 2014 Every Man Challenge finishers and winners! 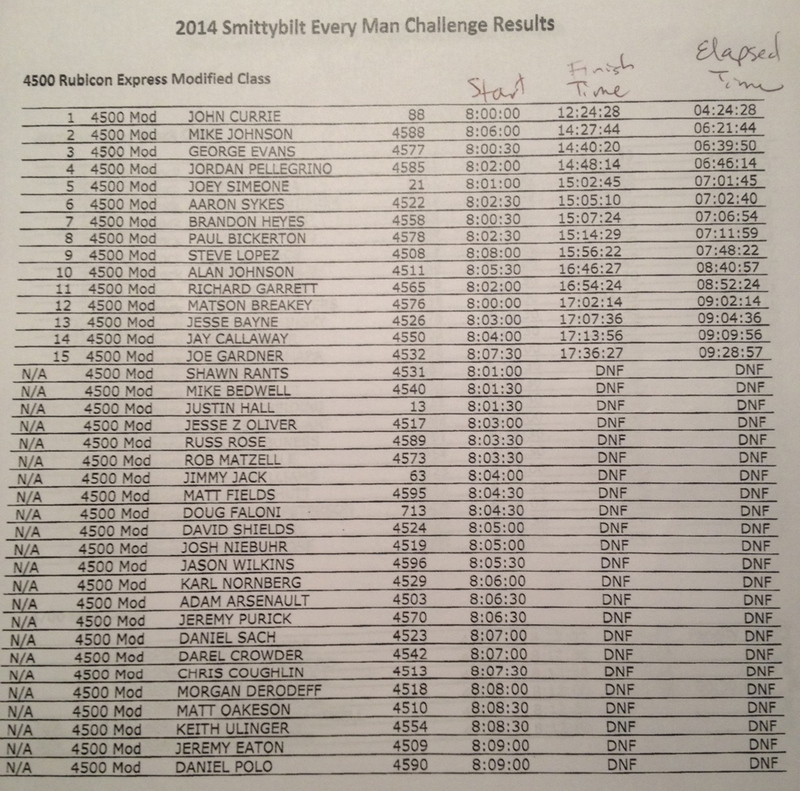 Click to expand full 2014 Every Man Challenge Results.